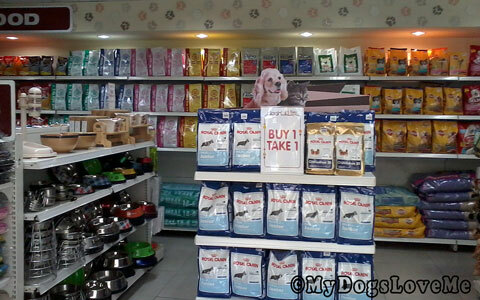 Here are some of the shots I've taken while visiting SM Pet Express in Cubao again. Meet SM Pet Express' Mascot! Last time, he was wearing a very nice tuxedo. Not only does Pet Express cater to our pet pal's material needs but they also provide grooming services. They had shelves and shelves of different dog foods. I love that I can choose from a wide selection of dog food bowls. 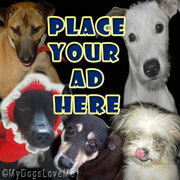 ...and dog collars and harnesses. Unfortunately, no Gentle Leader. This is much cheaper than Advocate- the medication given to Buchi back when he had mange. Wow we'd be in there for hours. 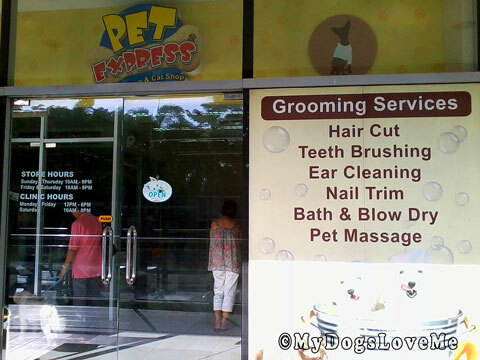 We too now have pet stores with doggy groomers. Great idea. Have a lovely Wednesday. Like the pet store. We go to a special groomer that does Scotties, cause she has two and will trim us however Mom & Dad want! That food part would drive Bites Nuts. Wow! That looks like a great place for peeps to do Christmas shopping. On no . . . did I say Christmas?? What a neat lookin' place! Looks a bit like a store we have here....but like yours, it didn't have the gentle leader! I bet the pups love shopping in that store! Nice selections! We have something similar, a large pet supply store that also grooms and does training classes. 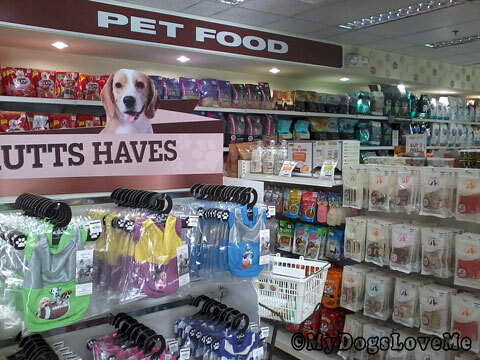 They also allow the pets into the store. Love the kong photos. Kongs are fun! Great mascot! Can pups visit the store, too? The assortment is mind boggling! What a great place! 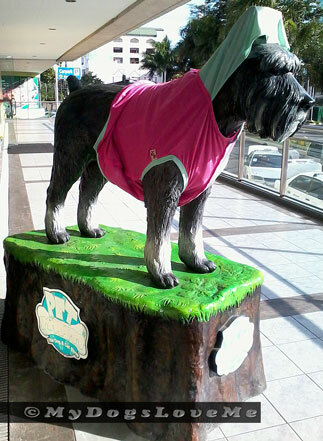 We really like the mascot and his doggy clothes! Lots of good stuff there! It's like a dream for your doggies! I really like the KONG for my heavy chewing dogs. 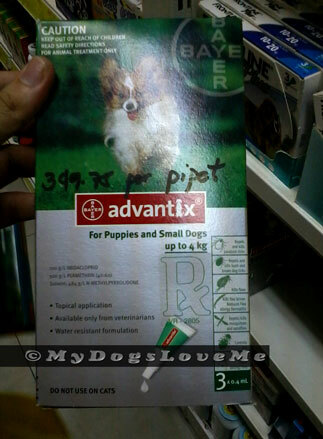 Floyd and I use Advantix, it works great! Looks like an awesome pet store! I use Advantix too - works so well! 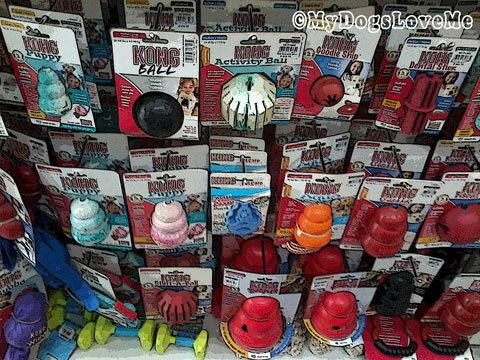 It's like a candy store for doggies! Wait, wait! Let's go back to that sign again...Pet Massage! *raises paws* WE WANT! 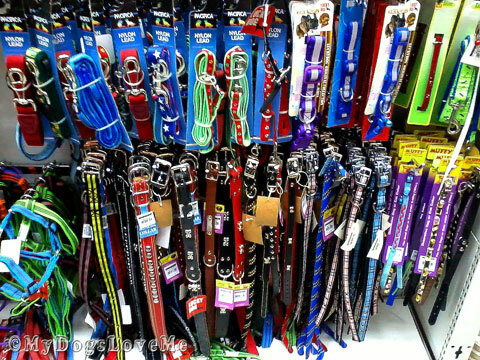 Pawesome pet shop, shame they don't do any gentle leaders though...mum just loves browsing collars, we have more collars each than she does shoes, BOL!